This scrub is packed with rejuvenating ingredients that Dr. Rachael Eckel, dermatologist at ZO Skin Health, says reduce redness, minimize pores and improve wrinkles. Once the yogurt, oatmeal and grated carrot are mixed together, poke the end of the vitamin E capsules and squeeze the oils into the mixture. 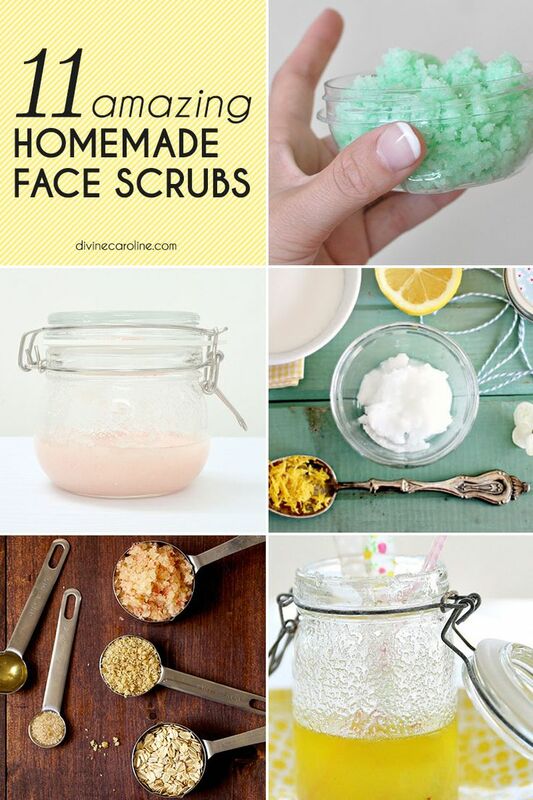 Rub this scrub on the face for 60 seconds or leave it on as a mask for 20 minutes before rinsing with warm water. Coconut oil works wonders for moisturizing the skin . Roxanne from Laced Ivory shows how to make this pretty pink face scrub by combining this beautifying oil with Himalayan pink salt. Amber, also known as the Barefoot Blonde, loves this scrub because she says the cucumber helps to soothe skin and mint leaves wake her up in the mornings. Here’s a scrub for soft, kissable lips. Eckel says to leave this scrub on the lips for five minutes for a lasting rosy hue. Stir white sugar, olive oil, strawberry extract and pink food coloring together. Eckel says if the final consistency is too oily, add more sugar, and if too dry, add more oil. Massage on lips for one minute twice a week. Sarah from A Beach Cottage says this lemon scrub gave her “an organic glow of lemon-scrubbed glory.” Not only does this scrub brighten the skin—we’ve heard it tastes amazing, too! Aimee from Clones N Crowns says this almond and honey face scrub is the easiest DIY beauty product to make and recommends using almond powder in place of sugar as the exfoliant to create a gentle scrub.